This is one of our favorite salads that we usually make in summers. I served this as a side dish for Falafels I made the other day. 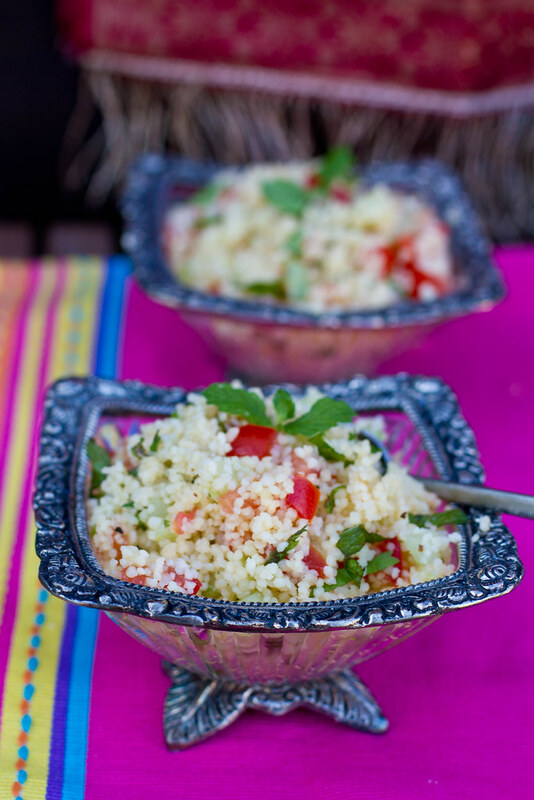 Tabbouleh is a Arab salad traditionally made of bulgur, tomatoes, cucumbers, finely chopped parsley, mint, onion, and garlic and seasoned with olive oil, lemon juice, and salt, although there are various other variations such as using couscous instead of bulgur. Traditionally served as part of a mezze in the Arab world, tabbouleh was adopted by Cypriots, variations of it are made by Turks and Armenians, and it has become a popular ethnic food in Western cultures. Combine tomatoes, cucumber, lemon juice, oil, coriander and mint, salt and pepper. Add in cooled couscous and toss. 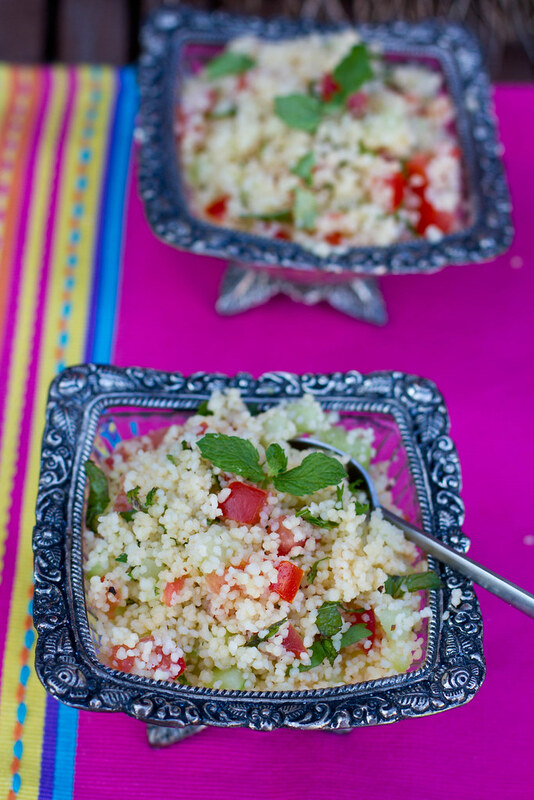 You can substitute Bulgar instead of Couscous. You can even add Basil and Parsley. Just happened to stumble across your blog. Congratulations on the good work. Your recipes are very appealing! Beautiful capture…the couscous looks like pearls!